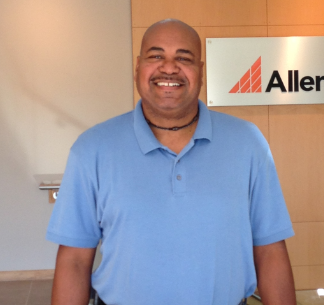 Please join us in welcoming Thomas Wise to the Allen and Shariff Team. Thomas started on Thursday, August 28th as an Electrical Designer in the Columbia office. Thomas has 20 years of experience and most recently worked at Setty & Associates and Strickler Associates. He attended the University of Maryland and has a diploma from the Maryland Drafting Institute. Thomas lives in Beltsville, and in his spare time, he enjoys playing music (bass guitar), painting, and weightlifting/working out. Please join us in giving Thomas a warm Allen & Shariff welcome!